Andrea graduated from Wayne County Community College in Detroit in 2008. 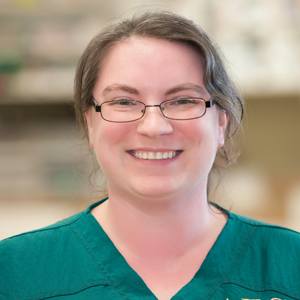 She is a licensed LVT in the State of Michigan with over 9 years of general practice veterinary experience and over 3 years of emergency veterinary experience. She joined AEC in 2016. Andrea loves the medical field and the surprises that come with it. Andrea brings her passion, and of course her love for animals to every patient she sees. Since joining AEC, Andrea has been excited to see a much wider variety of exotic pets, as she is always seeking to further her knowledge and skills in the veterinary field. Andrea has 2 Pit Bulls, 4 cats and a Cockatiel at home!